Microsoft has released a minor update to the MSN Apps for Windows Phone, bringing anything from bug fixes to minor improvements to the apps. The new update across all the apps, version 3.1.4.481 for those keeping score at home, can all be found in the Windows Phone Store. The apps impacted are MSN Health & Fitness, MSN Money, MSN News, MSN Sports, MSN Travel and MSN Weather. For MSN News, in addition to bug fixes, there is also a mention of improving the stability of the app in the release notes. Again, nothing specific is mentioned as to what instability was in the app prior to the update (I personally had not seen any issues with it). 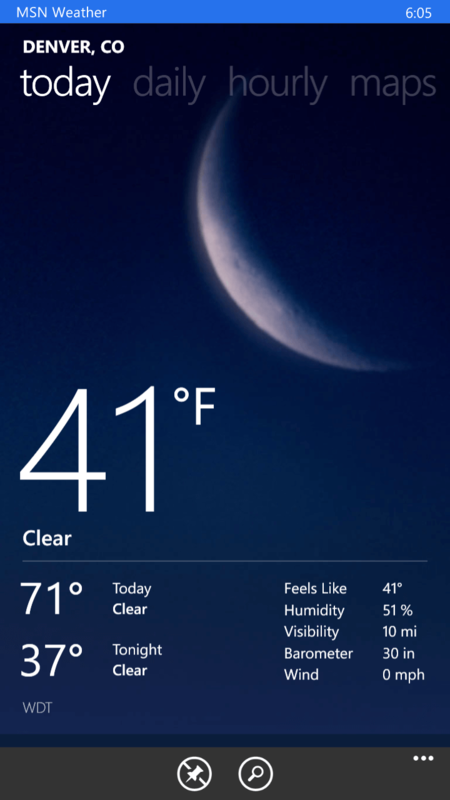 Finally, for MSN Weather, there are general performance improvements but also improved Live Tile performance improvements. This I have encountered on my Lumia 1320 and Lumia 635 (Prior to updating it to Windows 10 for Phone Preview) and based on the update it seem to have addressed my issue of the Live Tile simply not working after a period of time. As always, all of the MSN apps for Windows Phone updates are free.